Unpaid Assessments After Foreclosure, Who is Responsible? | The Law Office of Emil Fleysher, P.A. Unpaid Assessments After Foreclosure, Who is Responsible? | The Law Office of Emil Fleysher, P.A. Home Blog Foreclosure Unpaid Assessments After Foreclosure, Who is Responsible? Unpaid Assessments After Foreclosure, Who is Responsible? During the foreclosure process, condo assessments remain unpaid and the Courts have put an order to make someone responsible for unpaid dues. 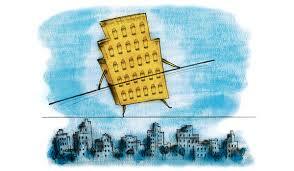 Now that the tidal wave of foreclosure diminishes, legislators and judges are adjusting the law to determine who will responsible to pay past due balances, most of which are condominium fees. The Florida safe harbor provision puts a cap on condo assessments that are owed by “first mortgagee or its successor or assigns” who pick up title during the foreclosure process. They are liable for 1 percent of the original mortgage or 12 months of fees, whichever is the lesser amount. As anticipated, there have been pursuits to find the gray-areas in the definitions to the advantage of lenders and condo associations. Both are set back financially by foreclosure and the longer it takes them the bigger the loss. An attempt at one of those gray-areas worked in a trial but not in the December 5th Fifth District Court of Appeal. The Court stated that the “first mortgagee” mentioned in the safe harbor law means first in priority and not who is first in line, as the trial court wrongly deduced. Although Beltway was not the direct assignee to the original lender but the assignee of an assignee, they still won the safe harbor and were only responsible to pay 12 months’ worth of past dues or 1 percent of the mortgage. The amount paid added up to $30,000 which isn’t an overly large amount but it had a serious impact. The dispute between the lenders and associations can get very expensive if they litigate the issues which is why lenders may simply pay off the association so they can get the property back on the market quickly. The Safe harbor law is more beneficial for the lending industry than it is for the condo associations. Lenders convinced Legislature that if they didn’t have priority over association liens than lending would be in jeopardy. Before the condo statutes were amended to add safe harbor, many of the older associations had governing documents that failed to address the liability or assessments post-bank foreclosure, or they had provisions that would entirely extinguish the liability for assessments incurred before a bank received title through foreclosure. Because condos had a strong argument about the amount of money they were losing, the compromise became 12 months’ of pass-due assessments or 1 percent of the original mortgage. However, during the foreclosure tidal wave that hit the nation, a lot of association found themselves “upside down” because of the amount of time it took banks to foreclose on properties. Most association had such large number of properties under foreclosure that they had to pass special assessments just to keep afloat. The safe harbor rule changed and became effective July 1st to assist assertive associations who filed for foreclosure before the banks did. The banks tried to argue that if the associations foreclose first, they cannot collect the past-due fees. An amendment was provided to give clarity to this matter which stated that even if the association forecloses on the property first, the bank that follows still has to pay the 12 months or 1 percent.